Girls jumpsuit with leopard print. 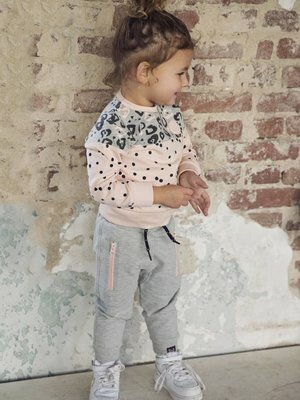 The onesie is in gray with pale pink details. This jumpsuit has snap fasteners.